Chances are, if you’ve worked in an office environment for some time, you’ve been able to witness, and probably take part in, a shift in the space where you work. This evolution has been slow and incremental, but I’m willing to bet the office you go to everyday bears little resemblance to an office of say, 20 or 30 years ago. Where once cubicles and segmented spaces ruled the day, now open layouts and fluid, multipurpose spaces are the norm. 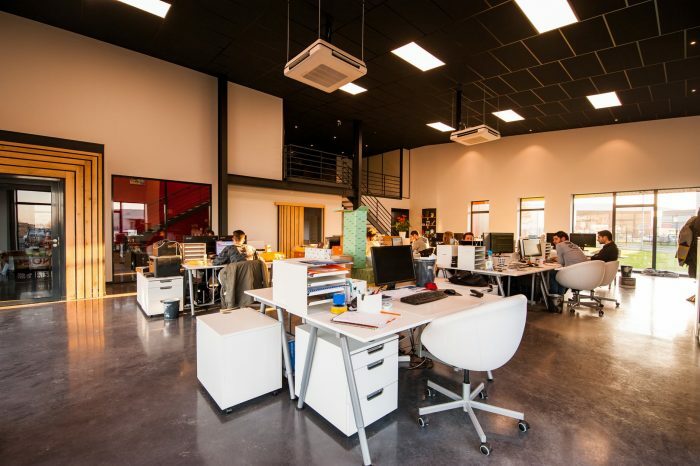 I think there are a number of reasons for this shift, but let’s take a closer look at a few that may help you determine if your office is on track to keep apace with the ever changing workplace, or if not, what you might need to recognize and put in place to get there. Like it or not, I’ll bet your workforce is far more tech savvy than you’ll ever be. It’s just a fact. Today’s hiring pool grew up with technology that you likely only encountered in adulthood. But this fact shouldn’t scare you. It should be embraced and used to its fullest potential. What this means is that this workforce will have higher expectations from the tech you use to collaborate, to present, and to communicate. So you need to match these expectations with a willingness to equip your office with the necessary tools required by a generation that grew up with the Internet of Things. This new workforce will also require more flexibility and desire to not be confined solely to an office space. This is where meeting room technology will need to really perform. With platforms such as Skype or Zoom Rooms, sometimes being physically in the office just isn’t necessary. 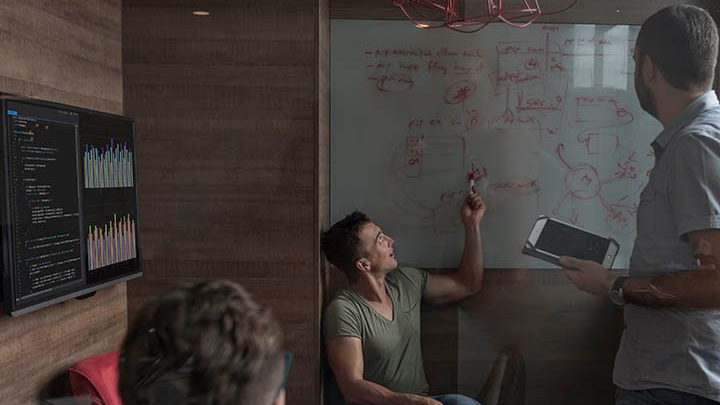 But collaboration is key in today’s workplace, so this gives rise to the need for huddle rooms and smaller meeting spaces, rather than larger, more formal conference rooms. 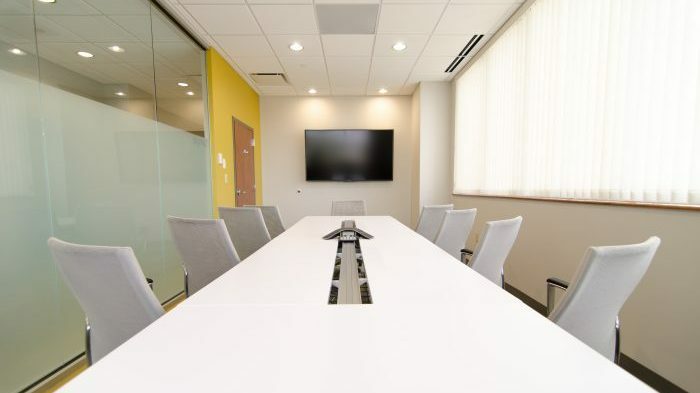 Meetings need to be able to happen on the fly, so many companies are finding that having multiple smaller spaces suit their needs better than a large central gathering space. 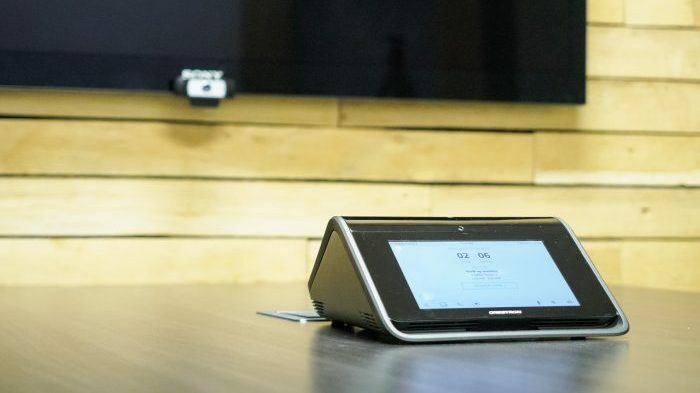 Going back to my first point, a lot of communication among coworkers takes place via personal devices in the way of email, chat, or SMS, so these small meeting rooms need to easily facilitate connectivity of these mobile devices. Companies like Google and Apple pioneered the open office concept that promotes collaboration, so many companies have chosen this layout in recent years to accommodate an environment where you see your peers more than just around the lunch table. This layout fosters approachability and open communication, but it also speaks to the importance of those small meeting spaces, where impromptu meetings can happen, but also not disrupt the entire office. The office space itself should definitely be considered when you’re looking at your overall productivity and efficiency. The workplace also represents you as a company, so if you want to be seen as on trend and forward thinking, you need to make it feel that way to both your potential clients, as well as the staff that spends everyday there. These elements I’ve discussed are just a few things to think about when you’re considering the future of your business and keeping yourself competitive in today’s tech driven landscape. Steve Nicola is the founder & President/CEO at Smart Systems. He is responsible for setting goals and defining strategies that help to grow our company. He lives in Chattanooga with his wife of 28 years and their 3 girls. 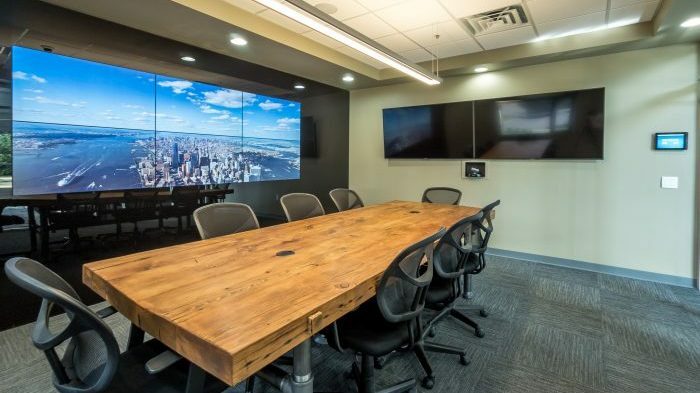 Why Is Meeting Room Technology So Important?